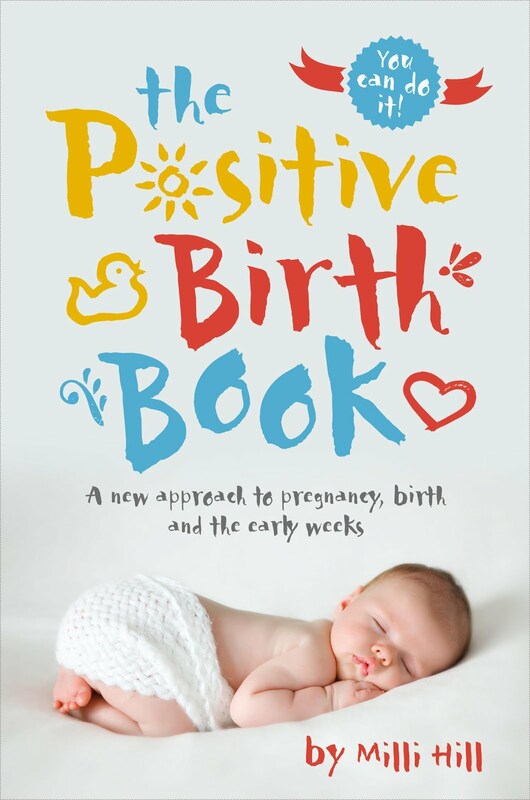 I have been following the progress of this very special book since I first spotted it at The Baby Show. When I first met the founders of the book they mostly had the idea and a mock up book. Even at this stage I was impressed. This time when I went back to The Baby Show they had them ready to sell and so they gave me one to review. So, What is Taste N Tell all about? Taste n Tell is all about promoting healthy foods and healthy eating through reading and learning. Its all about making food fun and interesting while encouraging even the fussiest of eaters to want to sample new foods. The book we were given to review is the 12months+ book for discovering fruit. As you can see from the image, the box is so nice and colourful and really stands out as a quality product. Inside the box there is the book, and a reward chart with stickers. Also a little booklet which tells you about your book and how to care for it. The book itself is really good. The idea to is that you have a little pot where you can place pieces of fruit chopped up. 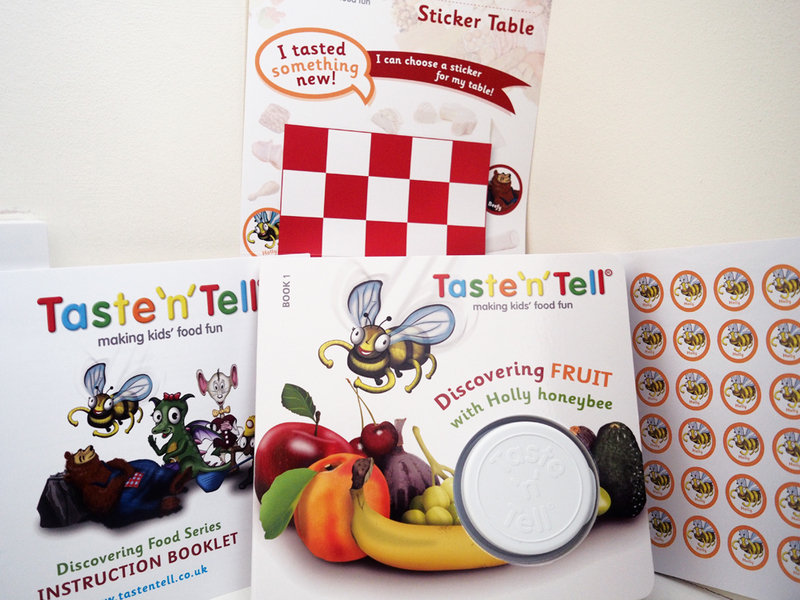 Each book has a special character who takes you on a food learning journey and for the fruit book it is Holly Honeybee. As you turn each page it shows you a different fruit. It shows you a photograph of the fruit whole, a photograph of where the fruit comes from and a photograph of it chopped up. It then has a little rhyme to read to encourage the children to open up the pot and see what is inside. 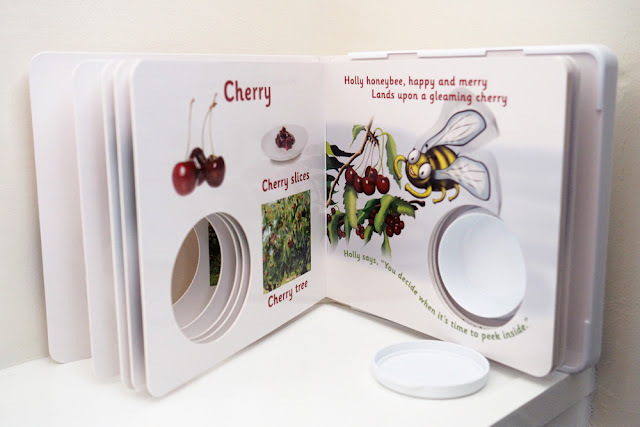 The pages are all made of hardboard and can be easily wiped down, and the little pot pops out of the book so it can be filled with the fruit and also easily washed. I think that the characters of the book are great. Really child friendly and really colourful. Also the wording of the book is also really colourful with the colour relating to the colour of the fruit. Its also written in a font that makes it easy for the children to be able to read the words. 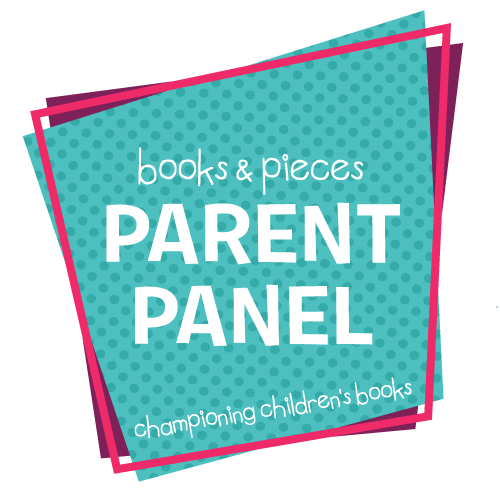 The great thing about the book is how much it promotes reading, learning and communication. 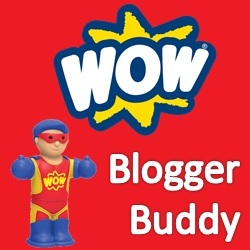 I feel a lot of fussy eaters may be fussy about what they are eating as they don't know what it is. This book really helps show children that its a fruit, and just like the other fruits they like, its natural and comes from things like tree's. 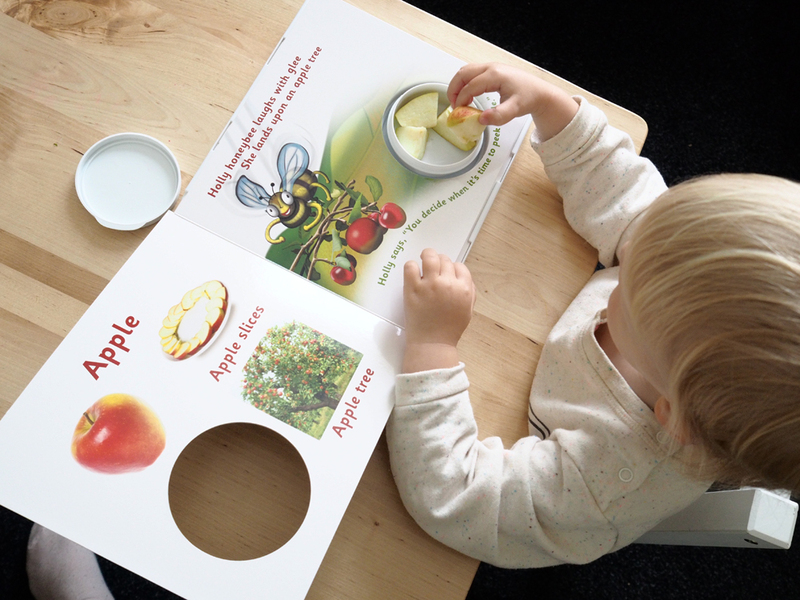 The little booklet suggests that you start with a fruit that they are familiar with and that they like. This is so then they can start to get a feel for the way the book works and start to build up excitement around it. So for Lily, I started with Apple. I chopped up the apple into little pieces and placed it into the tub. I then brought the book to Lily and let opened the page to the apple. She straight away knew what fruit it was from the photographs and was very excited to open up the tub. Which she did to find her apple. I then told her about the apple and pointed to the pictures telling her that apples grow on tree's. Lily ate all her apple as usual. I also tried Lily with some strawberries as she loves them. There isn't a part in the book about strawberries but I still used the pot so she still had the excitement of opening it with the surprise fruit inside. As Lily tried 2 fruits, she got to put 2 stickers on the chart. The chart has lots of space and lots of stickers, all with holly honey bee on. 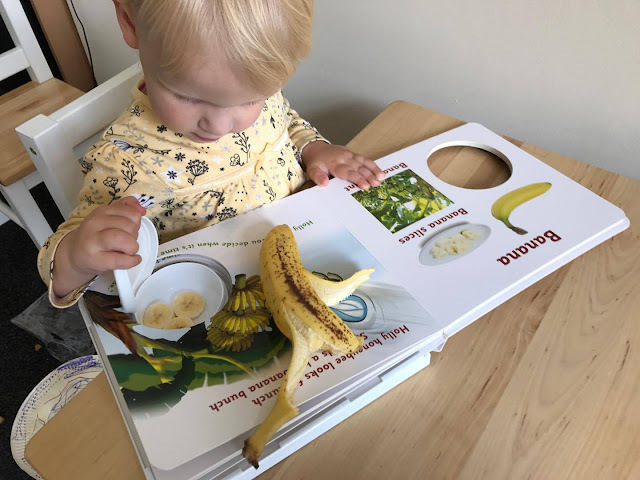 After you have finished with the book, you can slide out of the hard plastic base at the back and let it be washed along with the fruit tub. This is the best way to keep your book nice and hygienic. After using the book with fruits that I knew she loved. It was time to try some that she usually didn't like, or hadden't tried yet. There were plenty of fruits she hadden't tried inside. Cherries, Apricots, Dates, Avocado, and Figs. So I decided to try Lily with Apricot and Cherries. As usual Lily was really excited that the book was coming out. I opened up the page to apricot and we read the little rhyme and then she opened the tub. Lily was really impressed with what she found inside and after I told her what the fruit was and where it came from, she grabbed it to try some straight away. Unfortunately Lily decided she didn't like the apricot and wouldn't eat any more than a bite. I was still happy that Lily tried it though. I then tried cherries. We did the same with the rhyme and me telling her what fruit it was, but this time Lily wouldn't even try the cherry. I think that maybe she wasn't sure she would like them because she didn't like the apricot. Or it could have been because she was hoping her favourite, apple would be in there. Maybe If I would have done the apricot and cherries in 2 different sittings she may have tried the cherries and liked them. The next week I decided it was time to try the book again. 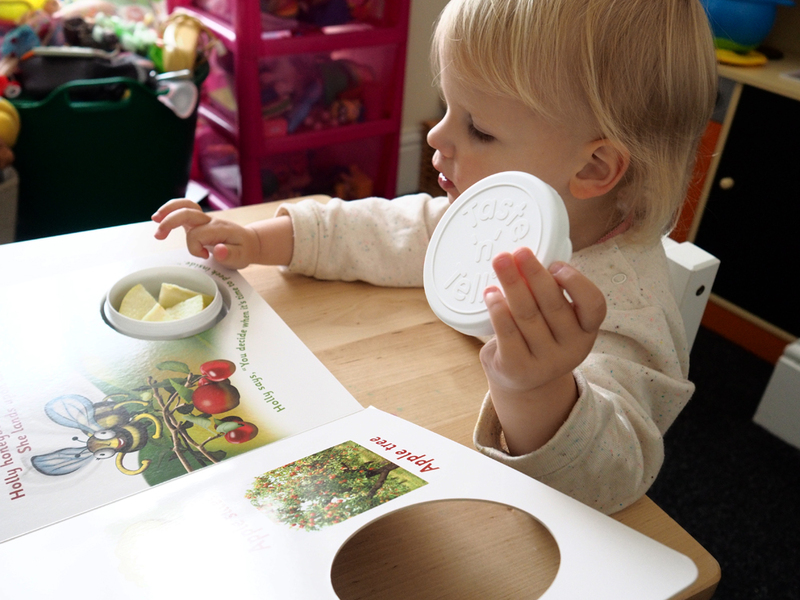 This time I thought I would see if the book encouraged Lily to eat something that she would never even try. Banana. Each time I have tried it with her she has pushed it away. So I cut some into the tub and I also put the rest of the banana on the book so she could see it as a full piece. Lily knew exactly what it was and told me it was a banana and we discussed where it came from and what it looked like. She opened the tub but as she touched one of the bananas she said ewww. I don't think she likes the texture. But she then picked up the banana with the skin and took a big bite. She then passed it to me and said she didn't like it. BUT i'm really glad that the book at least got her to try it. 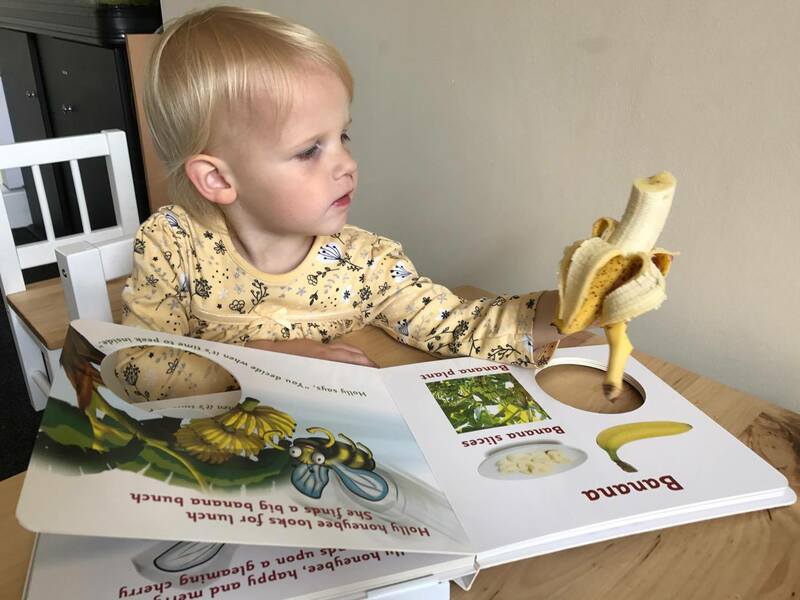 Lily did end up getting banana on the book, but it was so easy to just wipe clean with a wet wipe. 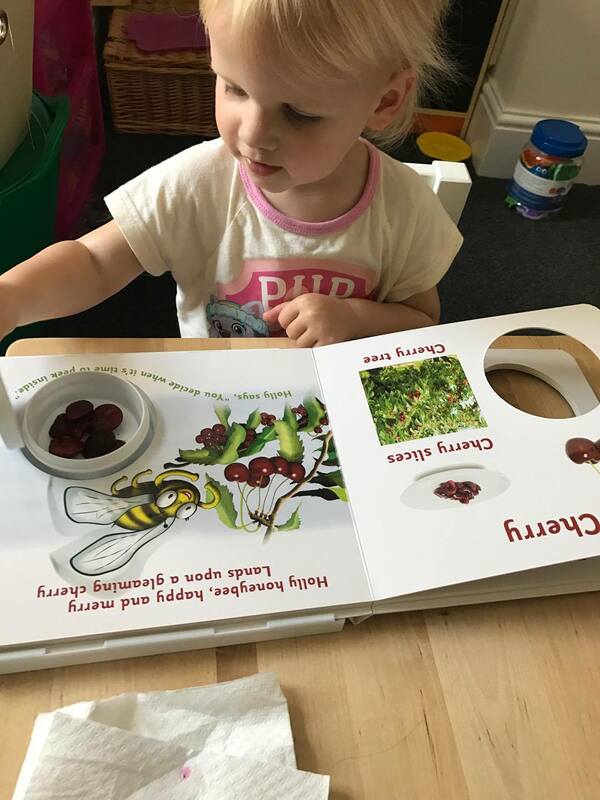 Overall we have really enjoyed using the taste n tell book and I can't wait to try Lily with even more nice fruits to see if she will eat them. 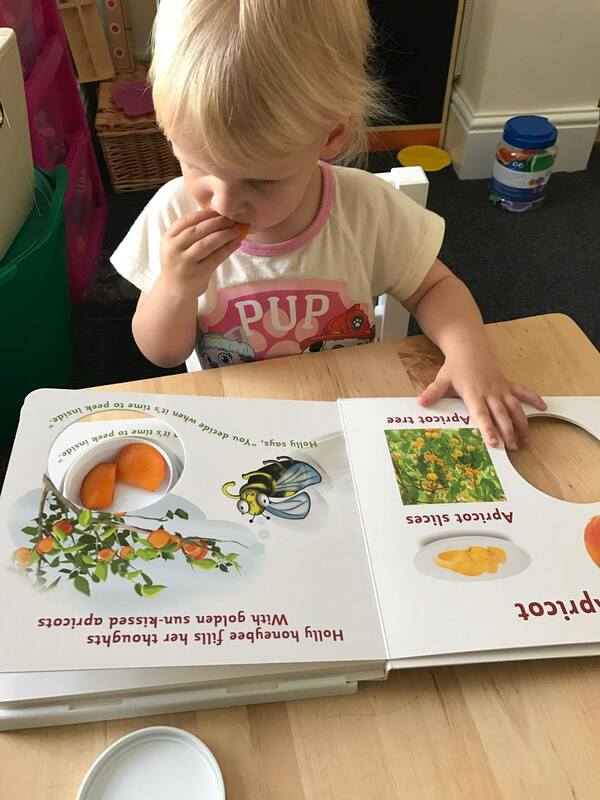 I think the book is a really great concept to learn about foods and encourage children to eat them. Soon there are to be plenty other books joining the food discovery journey with a vegetable book, grains book, protein book and dairy book. Which I really look forward to seeing. The Discovering Fruit Book is £18.99 and can be bought from the Taste N Tell website. What do you think to the Taste N Tell Book? If you love the look of this Taste N Tell book then your in luck as I have one to give away. Enter on the Gleam app below for your chance to win. What a great idea - a fun way of encouraging little ones to try new foods! Great review! I believe there are 2 more fruit books yet to be published,with the next one the first of the vegetable books. This is what I was told at the Childcare Expo in Manchester. I'm looking forward to trying the vegie one. Lily is an absolute cutie! Different! I like the idea but not sure how the condition of the book would hold up. I think it's a great idea as it promotes both reading and learning. brilliant idea, especially for those fussy eaters! I think :- Great idea. 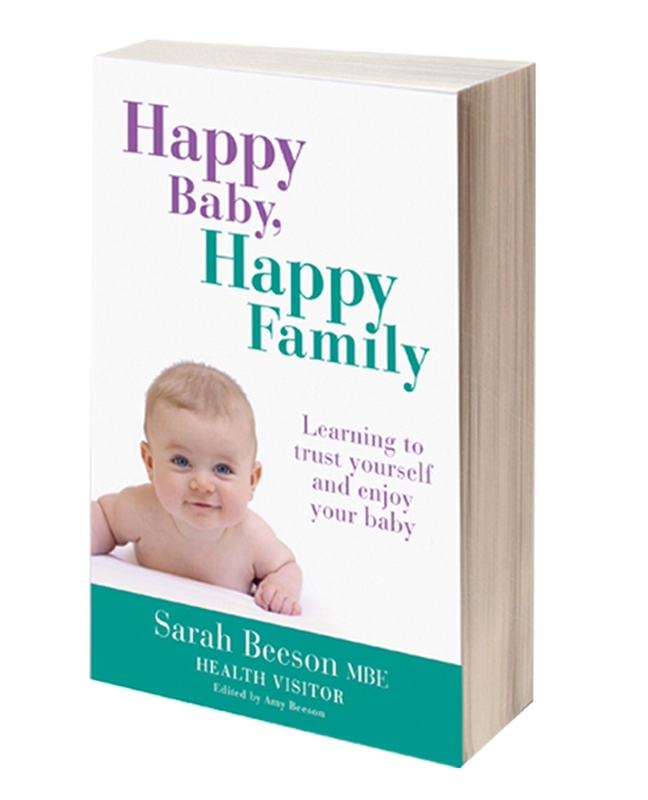 Encourages interaction between Parent / Carer and Child. 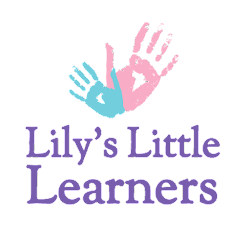 Promotes Positive Shared Experience and Learning in regards to reading, tasting and trying new flavours, colours, textures, etc. Encourages variety within diet / nutrition / nourishment. Have found historically that some adults make assumption child does not like food at an early stage. Yet we all practice many tasks before we are comfortable / happy/ proficient, etc in regards to the task / skill. 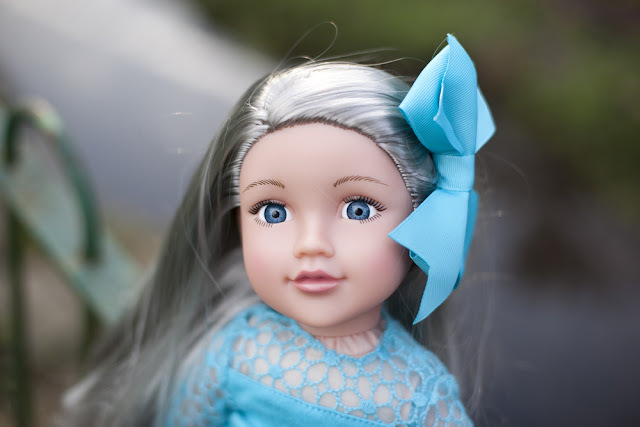 Then leads to limited diet / lifestyle for the baby / child/ adult / individual :- Which can limit the Quality of Life. Food is necessary for life, it is Healthy to have a varied diet and to have social Events which involve food. So can impact on Social, Emotional, Psychological Aspects of Life for individual, family, Community, etc. Well Done! Looking forward to Happy, Healthy People who can enjoy food as part of their life within a healthy lifestyle, and Healthy, Happy, Caring, Sharing, Empathetic, Connected, Socially Active Community. I like the concept of this. it makes it easy for little ones to see the food, then give it a try. 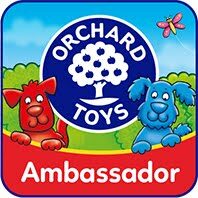 Perfect for fussy eaters & encouraging different tastes when weaning! This is very good and encourage them to eat their fruit and vegetables and discover more about them. I think it's a fantastic idea, I'm a very fussy eater myself and often wish I wasn't. 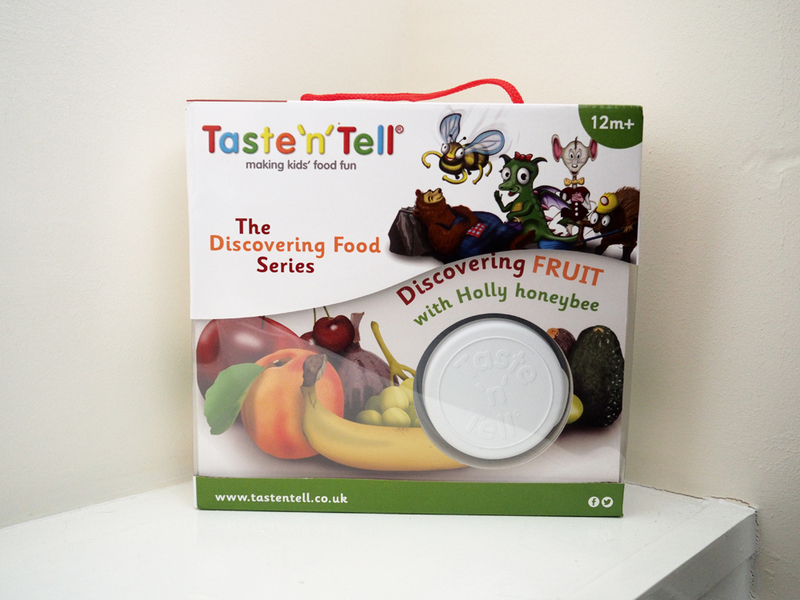 Anything that encourages children to try new foods and makes it fun at the same time is a brilliant idea. I love this concept & think it's a great idea to encourage all children to try new foods,including those with special needs. Brilliant! 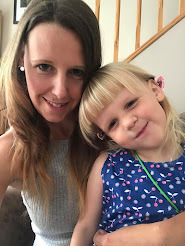 I think it's a fantastic idea to get little ones to try new foods. 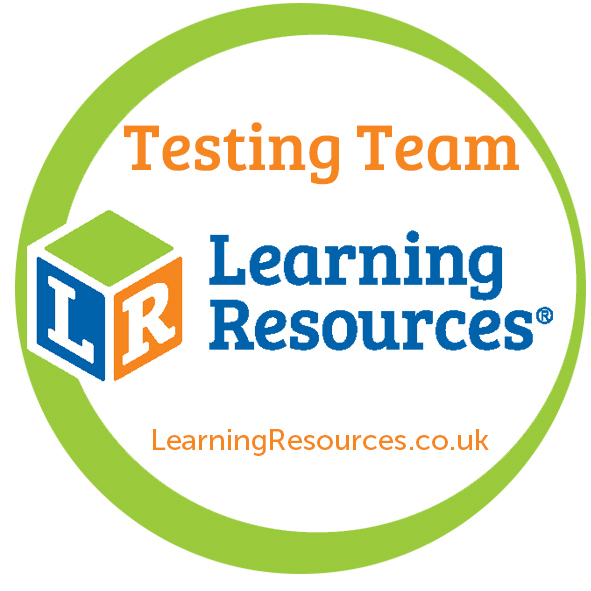 Looks great - I like all the interactive elements that mean it's not just a standard book. Better than brilliant. Have bookmarked the site to come back to. It looks very interesting and different. I think it could encourage speach development by linking the fruit to the picture and the actual thing. 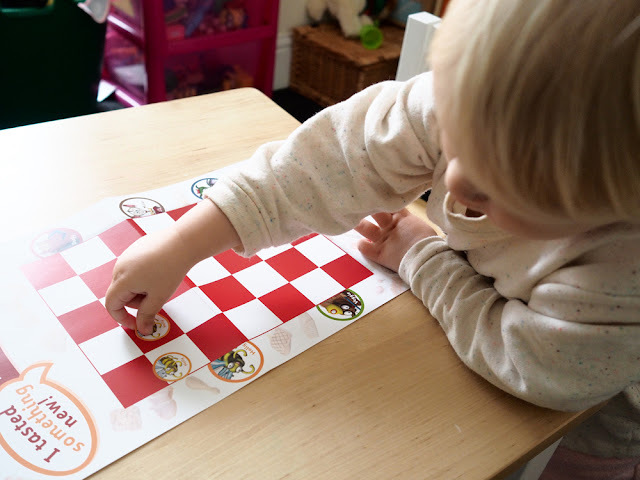 Might also help fussy eaters by getting them curious about new foods! Not seen anything like this before brilliant idea for the little ones. brilliant idea, i think its great for fussy eaters! I love the concept of these books. Anything that can keep kids occupied while they are eating is great to me. While a great idea, there will be a lot of mess afterwards. Think this is a brilliant idea. It is important for children to know where their food comes from. This is such an awesome idea...I'd just have to remember not to leave fruit in there & forget it otherwise the next time we read it it would be pretty gross! This is a great idea wish it was around when my older 3 were little as they hardly ate a thing! but they loved books. Hopefully baby number 4 can use this to discover foods rather then throw it across the room like the older ones did! 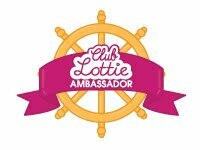 I think its great and a fun way for the child to learn too. I love the idea - never seen anything like this before! Fantastic idea, and its great for all those fussy eaters out there! i THINK IT'S A GREAT IDEA TO GET THE CHILDREN INVOLVED WITH FOODS. Its a really great idea, never heard of it before! Great idea - gives a new context for trying new foods! I think it's an interesting concept; certainly unique. Thanks for this review! Such an interesting idea for encouraging a child to try new tastes!